Park County (pop. 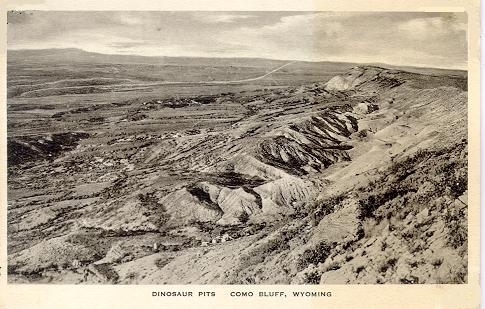 28,205) is in the northwestern corner of Wyoming. 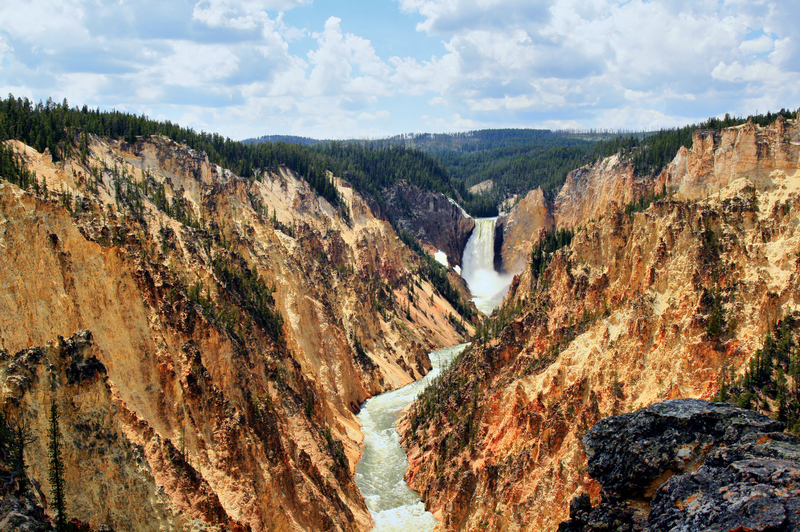 It is one of three Park counties in the U.S.
Park County was named for Yellowstone National Park; more than half of the park is in the county. Mammoth Hot Springs is in the northern part of the county, near the Montana border. 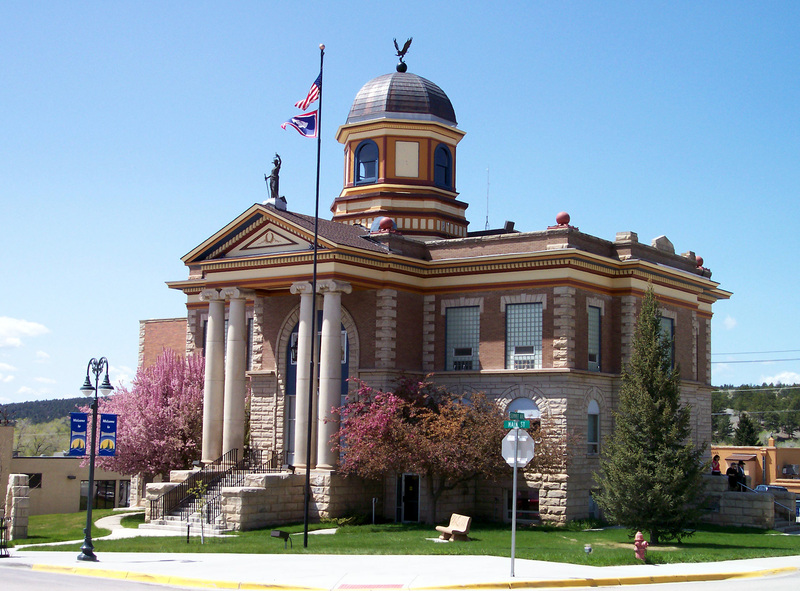 The county seat of Park County is Cody (pop. 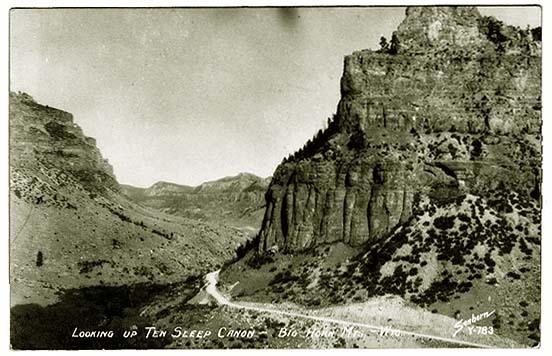 9,520), which was named for William “Buffalo Bill” Cody – one of the founders of the town. Cody is about 50 miles east of Yellowstone Park. 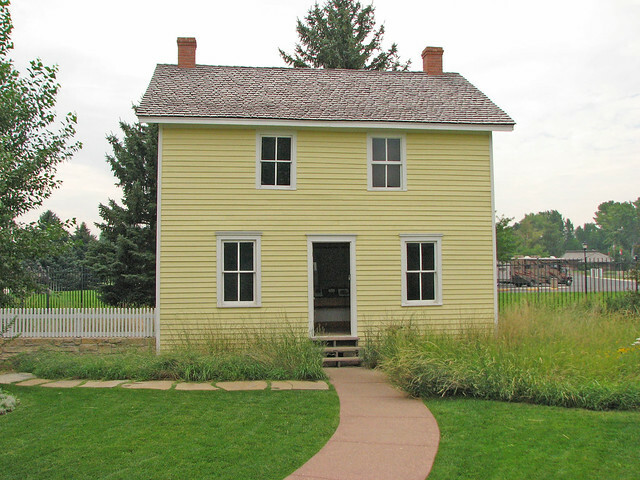 Buffalo Bill’s boyhood home (moved from Iowa to Cody) is part of the Buffalo Bill Center of the West. It was moved in 1933. 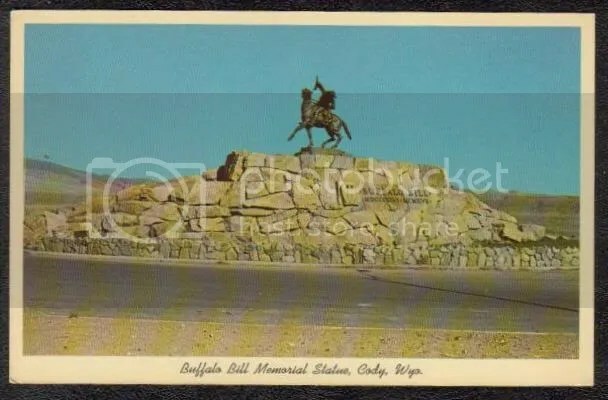 Cody also has a dam named for Buffalo Bill (on the Shoshone River) and a prominent statue of Buffalo Bill. 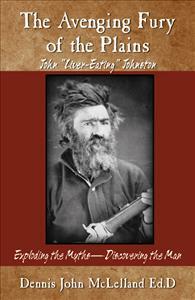 Another statue in Cody recognizes the mountain man named John “Liver-Eating” Johnson. The artist Jackson Pollock was born in Cody in 1912. The town of Powell, about 25 miles northeast of Cody, is the home of the two-year Northwest College. 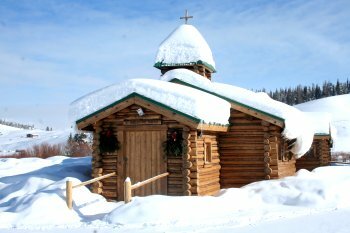 Teton County (pop. 21,294) is north of Sublette County. It was named for the Teton Range, which runs north-south through the western part of the county. All of Grand Teton National Park and 40 percent of Yellowstone National Park are in Teton County. Teton County is the wealthiest county in Wyoming in per-capita income and one of the wealthiest counties in the U.S.
Jackson Hole Airport is the busiest in the state. The valley known as Jackson Hole has the Teton Range on the west and the Gros Ventre Range on the east, with the Snake River running through it from north to south. At the southern end of Jackson Hole is Jackson (pop. 9,577), the county seat. 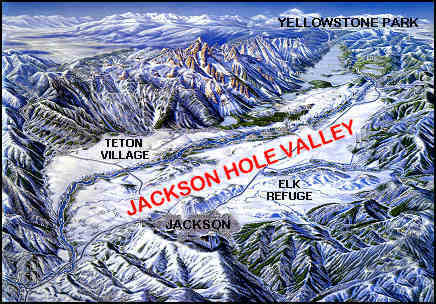 Jackson has several ski resorts nearby, including Jackson Hole Mountain Resort and Snow King Mountain. 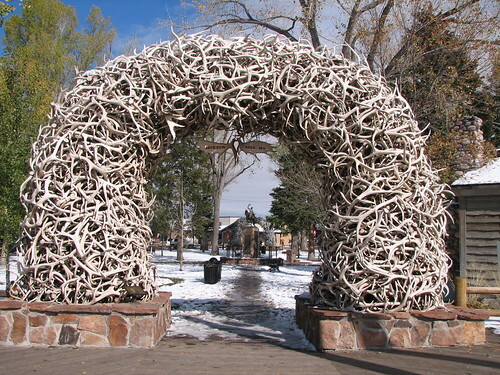 George Washington Memorial Park in downtown Jackson is known for its elk antler arches. Just northeast of Jackson is the National Elk Refuge, which was created in 1912 to protect the largest elk herd in the country. The part of Yellowstone National Park within Teton County includes Yellowstone Lake and Old Faithful Geyser. Sublette County (pop. 10,247) is northeast of Lincoln County. 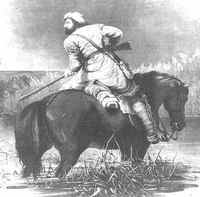 It was named for William L. Sublette, an early fur trader in Wyoming. 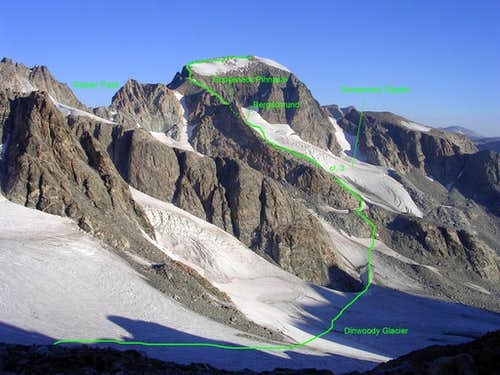 The Wind River Range has 19 of Wyoming’s 20 tallest peaks, and many of them are along the Continental Divide in the northeastern part of Sublette County. Three national forests are in the county. The Green River has its source in Sublette County; the river then flows south from the Wind River Range on its way to join the Colorado River in southeastern Utah. 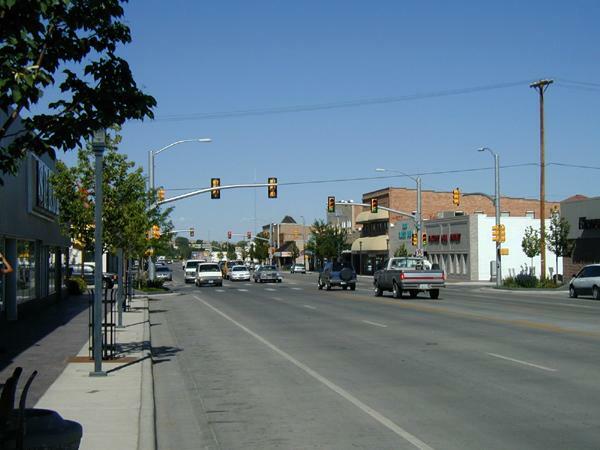 The county seat of Sublette County is Pinedale (pop. 2,030), at an elevation of 7,182 feet. 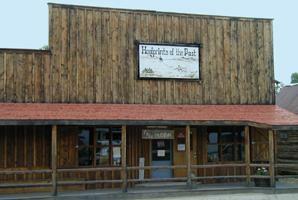 Pinedale is the home of the Museum of the Mountain Man. From 1825 to 1840, trappers and traders had an annual spring rendezvous in the area. 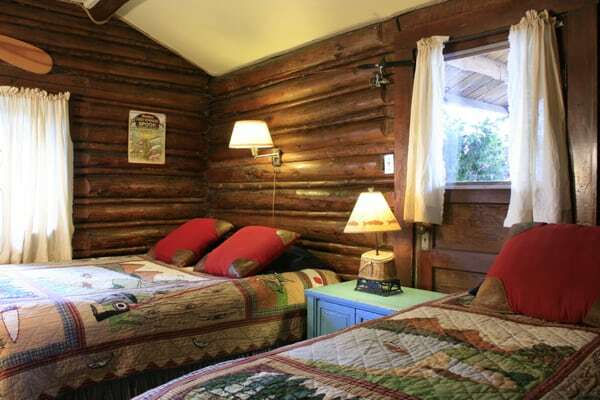 The Log Cabin Motel in Pinedale dates from 1929. The Church of St. Hubert the Hunter (Episcopal) was built in the community of Bondurant (pop. now 93) in 1940 with the $1,400 proceeds from the sale of a donated diamond. Uinta County (pop. 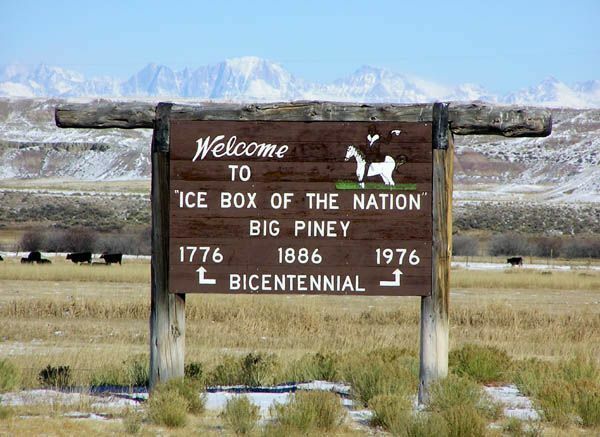 21,118), in the state’s southwestern corner, is Wyoming’s second-smallest county in square miles. The county is named for the Uinta Mountains, which are visible across the Utah state line to the south. The county seat is Evanston (pop. 12,359). Its population grew from about 6,000 in 1980, thanks to the oil and natural gas in the region. 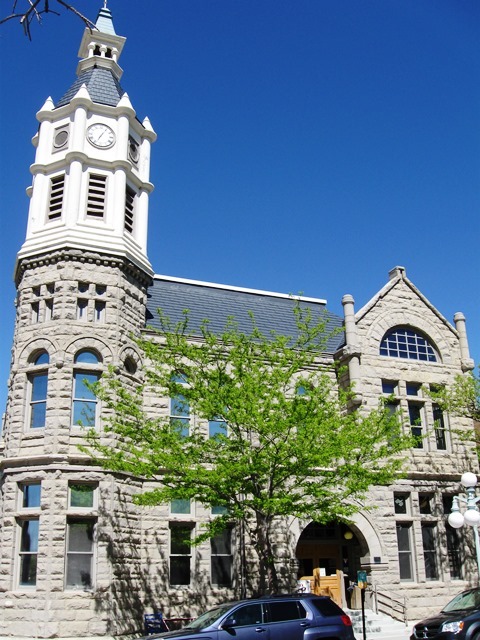 Evanston has the oldest courthouse in the state. It was built in 1873-74 and expanded in 1910. The Union Pacific roundhouse (1912-13) and other historic structures are still standing in the Union Pacific Railroad Complex in Evanston. Evanston was founded along the first transcontinental railroad. The Wyoming State Hospital (formerly the Wyoming State Insane Asylum) is in Evanston. The historic buildings date from the early 20th century. Bear River State Park is just east of Evanston. 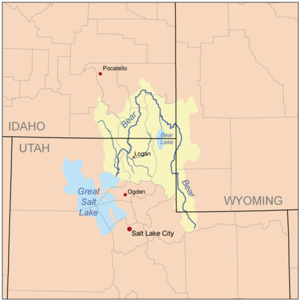 The 491-mile Bear River is the largest river that flows into the Great Salt Lake. 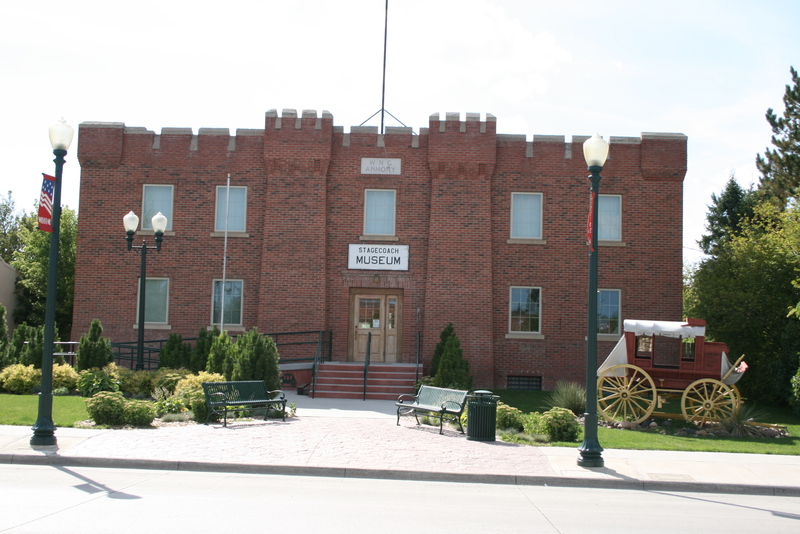 Farther east on Interstate 80 is Fort Bridger State Historic Site. It was a 19th-century fur trading post, supply point for wagon trains, and military post. Fremont County (pop. 40,123) is south of Hot Springs County. 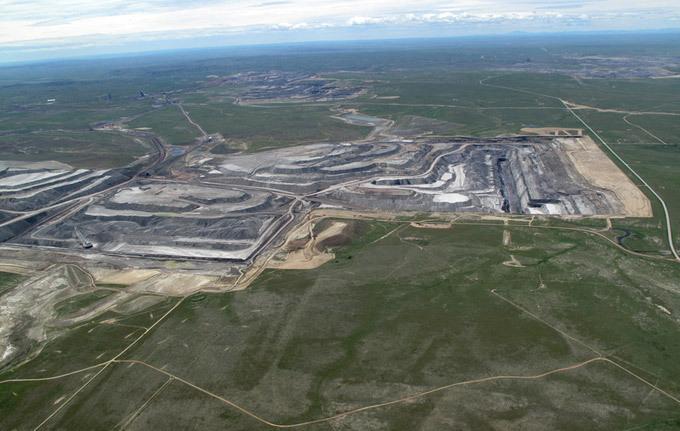 It is Wyoming’s second-largest county in square miles. 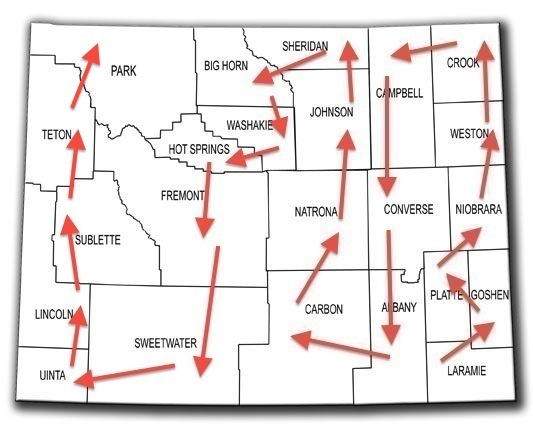 The Continental Divide and the Wind River Range run northwest-southeast through the western part of the county. 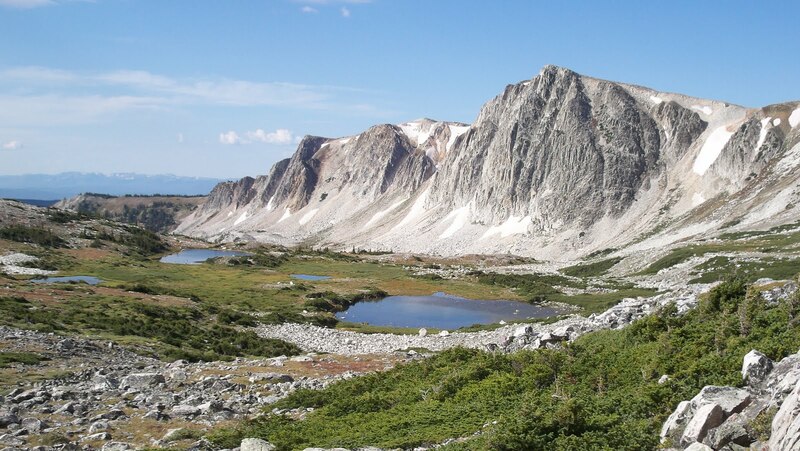 Gannett Peak, on the boundary with Sublette County, is the highest point in Wyoming. 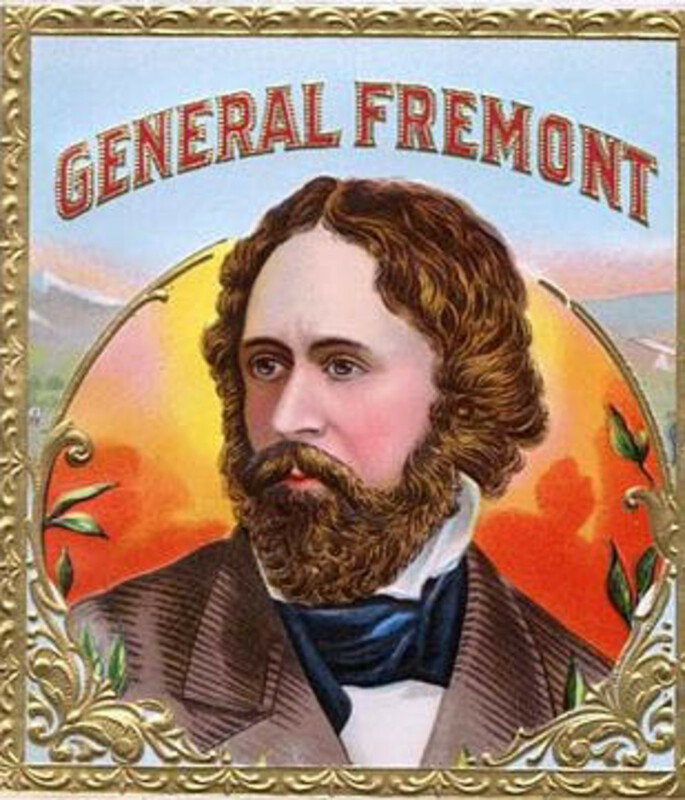 Fremont County was named for the explorer-military officer-politician John C. Fremont (1813-1890) – along with the other Fremont counties in Colorado, Iowa, and Idaho. The Wind River Indian Reservation makes up about one-third of Fremont County. 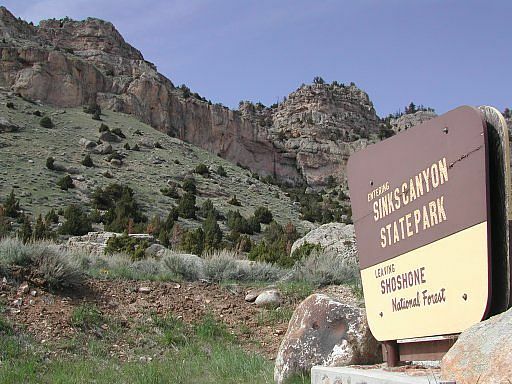 The reservation is shared by the Eastern Shoshone and Northern Arapaho tribes. The reservation extends into Hot Springs County. Riverton (pop. 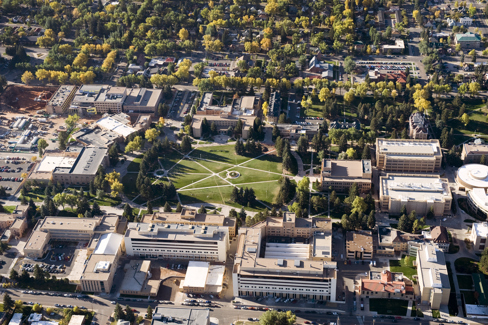 10,615), the largest city on the reservation and in the county, is the home of Central Wyoming College. 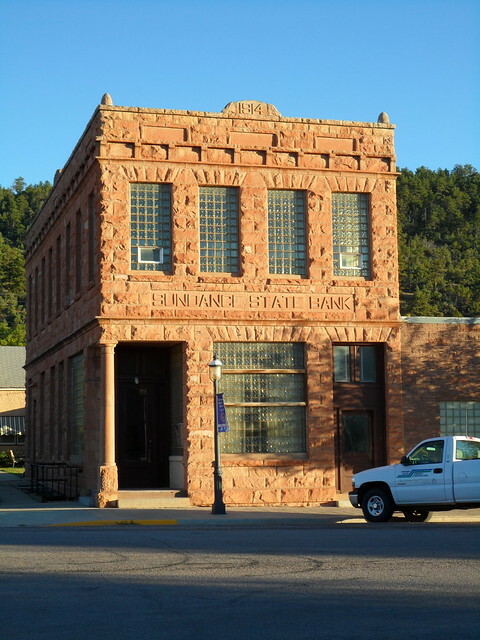 The county seat of Fremont County is Lander (pop. 7,487). Lander is the home of Wyoming Catholic College (2007), the only private, four-year college in Wyoming. It has about 100 students. At Sinks Canyon State Park, just south of Lander, the Middle Fork of the Popo Agie River disappears underground for a quarter-mile. Fremont County has a ghost town called Miner’s Delight and a census-designated place called Atlantic City (pop. 37). The town of Dubois (pop. 971) was originally known as Never Sweat. In the southwestern corner of the county is the legendary South Pass (elev. 7,412), where emigrants on the California, Oregon, and Mormon trails crossed the Continental Divide. Hot Springs County (pop. 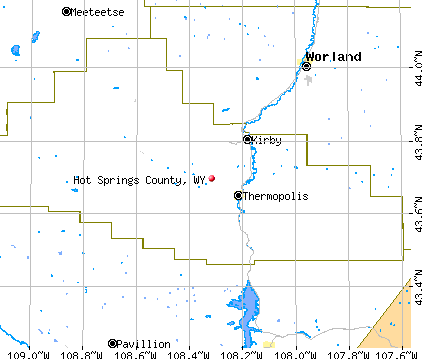 4,812), west of Washakie County, is Wyoming’s smallest county in square miles and second-smallest in population. 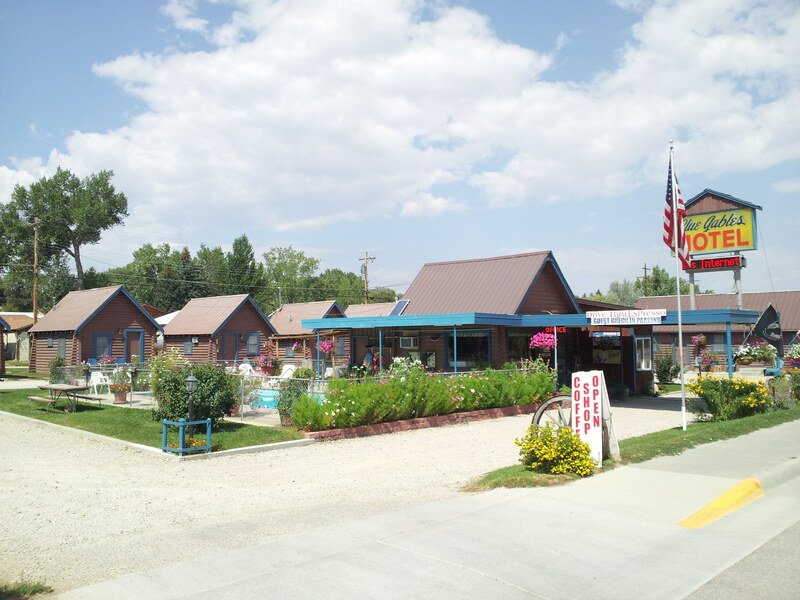 It is the only Hot Springs County in the United States. Arkansas has a Hot Spring County. 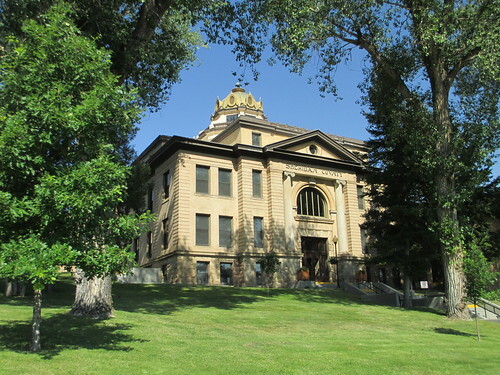 The county seat of Hot Springs County is Thermopolis (pop. 3,009). 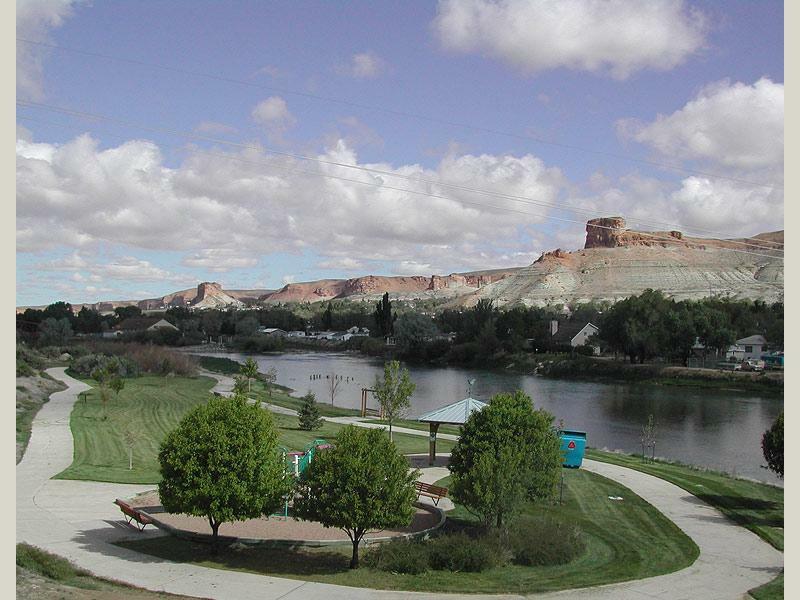 Thermopolis (from the Greek, “hot city”) got its name from its hot springs. 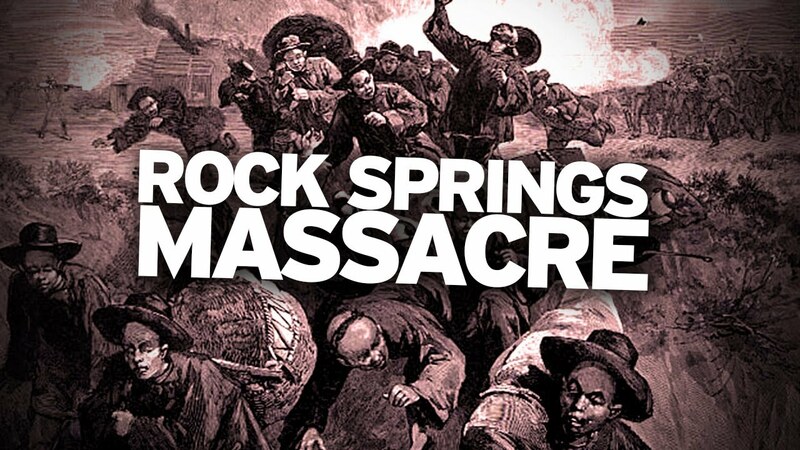 Hot Springs State Park, featuring “The World’s Largest Mineral Hot Spring,” was Wyoming’s first state park. The state provides a free bathhouse for visitors. The park also has hotels, private water parks, and a herd of buffalo. A public road loops through the pasture. 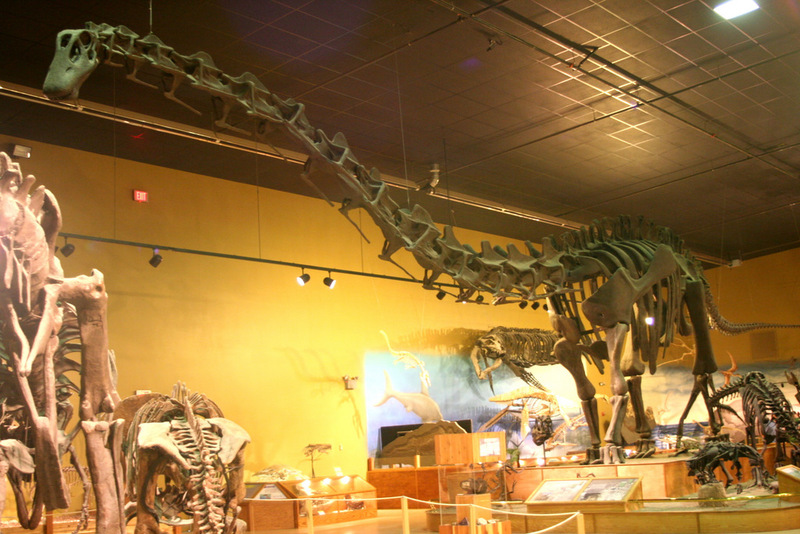 Thermopolis is also the home of the Wyoming Dinosaur Center. It has more than 30 mounted skeletons. 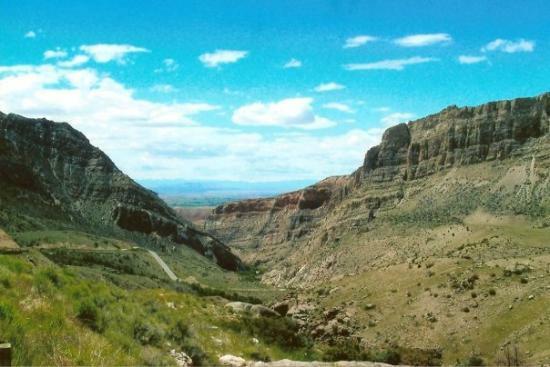 The Wind River Canyon is just south of Thermopolis; the upper reaches of the Bighorn River are called the Wind River. 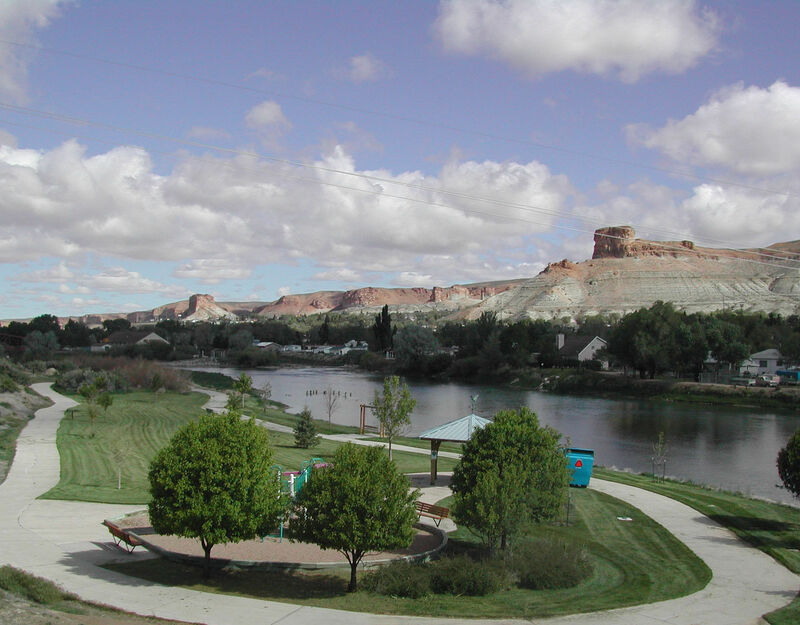 Washakie County (pop. 8,533), south of Big Horn County, was named for Chief Washakie of the Shoshone people. The county is relatively flat, with an elevation around 4,000 feet. Irrigated farms raise sugar beets, beans, corn, and alfalfa. 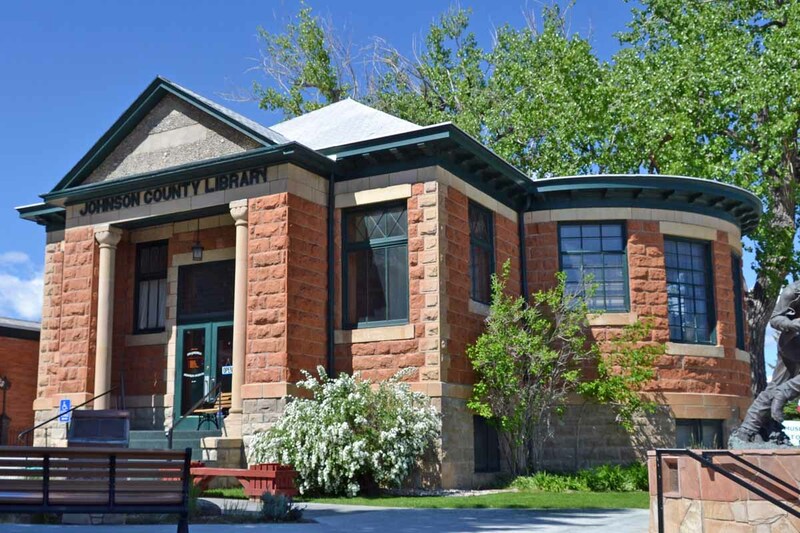 The county seat is Worland (pop. 5,487). It was named for Charlie Worland, a homesteader who opened a small bar and general store for travelers in 1900. 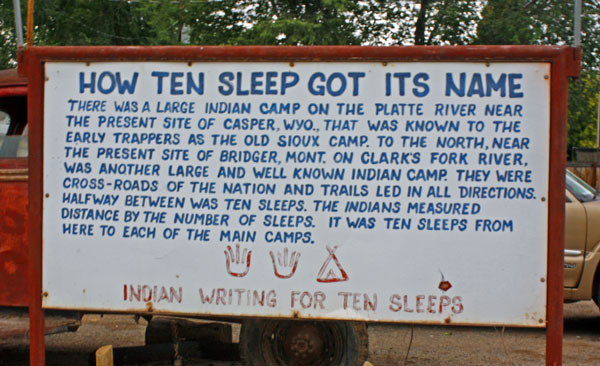 East of Worland on U.S. Highway 16 is the town of Ten Sleep (pop. 260). Just east of the town is Ten Sleep Canyon, leading into the Big Horn Mountains. From 1968 to 1989, the Girl Scouts of America operated the 15,000-acre Girl Scout National Center West in the area of Ten Sleep Canyon. The Scouts closed and sold the camp because of the high maintenance costs. Part of it is now owned by the Nature Conservancy. 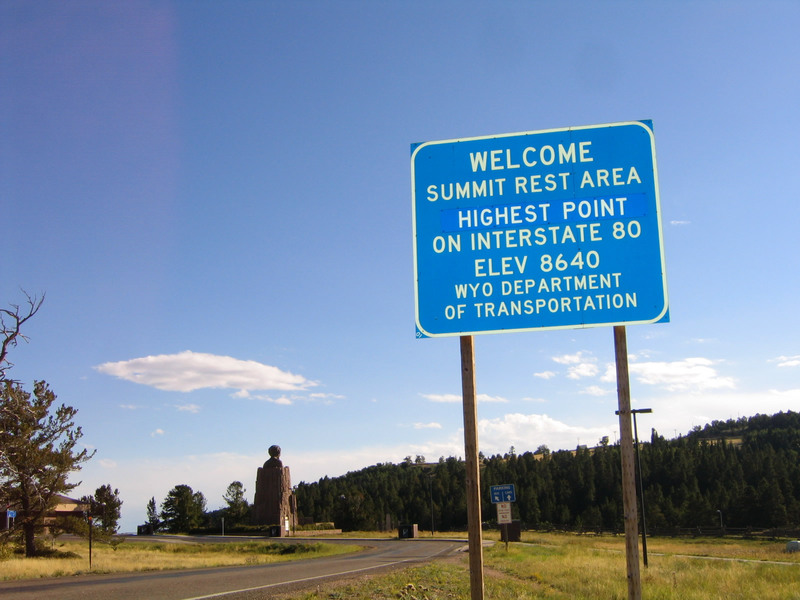 Big Horn County (pop. 11,668) is west across the Big Horn Mountains from Sheridan County and south across the Montana border from Big Horn County, Montana. Basin (pop. 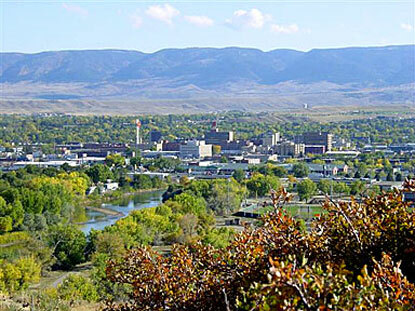 1,285), the county seat, got its name because it’s in the middle of the Bighorn Basin; the 461-mile Bighorn River (a tributary of the Yellowstone River) flows north through the area on its way to Montana. 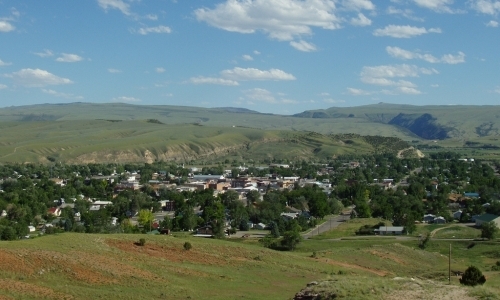 Basin is the second-smallest county seat in Wyoming and only the third-largest town in Big Horn County. Both Lovell (pop. 2,360) and Greybull (pop. 1,847) are larger. Greybull is the home of the outdoor Museum of Flight and Aerial Firefighting. 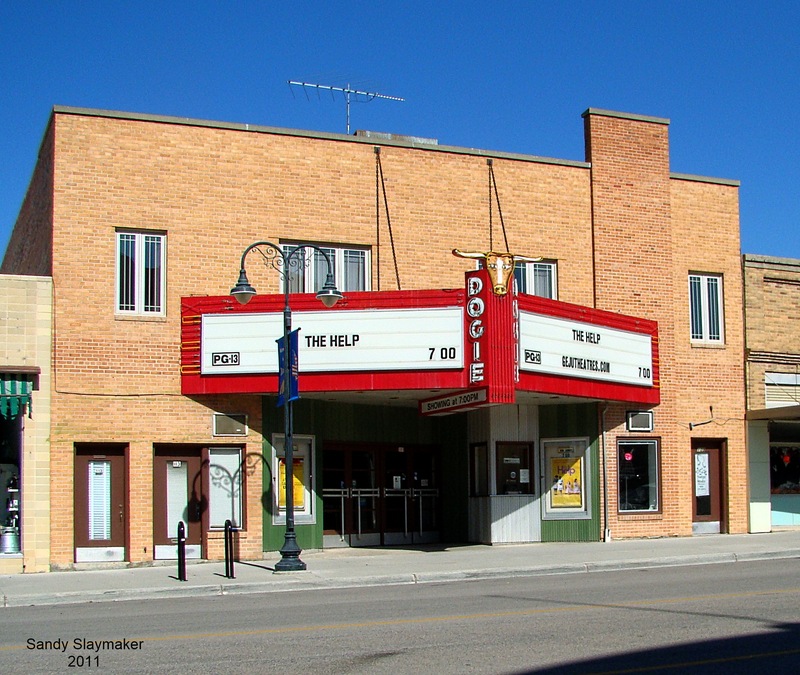 In Lovell, the Hyart Theater (1950) – with its unique exterior design – still has movies on Fridays and Saturdays. In Cowley (pop. 655), the former Big Horn Academy (1916) is now used for school administrative offices. It was Cowley High School for many years. In the northern part of the county, the Bighorn Canyon National Recreation Area includes Bighorn Lake on the Bighorn River; the lake was created by construction of Yellowtail Dam in 1965. Sheridan County (pop. 29,116) is north of Johnson County, along the border with Montana. It’s one of five Sheridan counties in the U.S. – the others are in Kansas, Montana, Nebraska, and North Dakota. All five were named for Gen. Philip Sheridan (1831-1888), who fought in the Civil War and the Indian Wars. He was once reported to have said, “The only good Indian is a dead Indian,” but he denied that he ever did. “Little Phil” was 5’5″ tall. 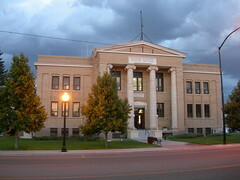 The county seat of Sheridan County is the city of Sheridan (pop. 17,444). The Sheridan Flouring Mills (1921) closed in 1972 but reopened as a hotel in 1978. Trail End, a mansion in Sheridan built by Wyoming governor and U.S. senator John B. Kendrick, is now Trail End State Historic Site. The Sheridan Inn (1893) was once called the finest hotel between Chicago and San Francisco. Buffalo Bill Cody managed it from 1894 to 1896; he auditioned acts for his Wild West Show from the front porch. The 265-mile Tongue River flows out of the Big Horn Mountains through Sheridan County and north to Montana. 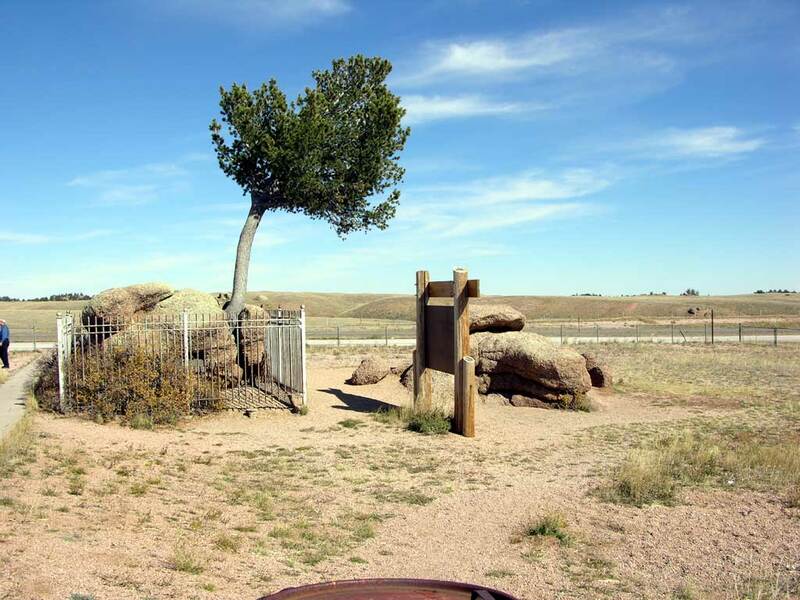 South of Sheridan is a monument commemorating the “Fetterman Massacre” of 1866, when Sioux, Cheyenne, and Arapaho Indians killed all 81 men under the command of Capt. William Fetterman. The unincorporated community of Big Horn (pop. 490) is the home of the Big Horn Polo Club. Polo has been played in the area since 1893. Johnson County (pop. 8,569) is north of Natrona County. It’s one of 12 Johnson counties in the U.S. 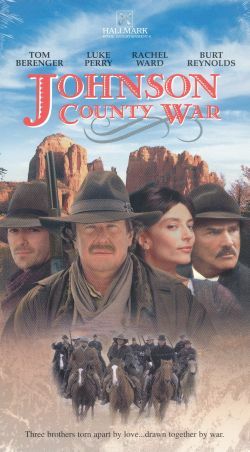 The “Johnson County War” was a range war in 1892 involving small local ranchers, larger ranchers, hired killers, and the U.S. Cavalry. The county seat of Johnson County is Buffalo (pop. 4,585). 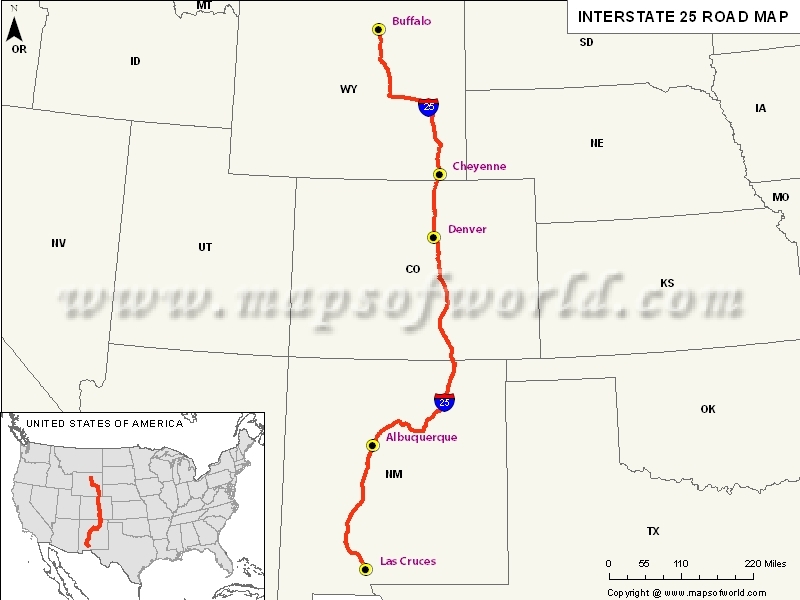 Buffalo is the northern terminus of Interstate 25, which goes more than 1,000 miles south through Cheyenne, Denver, and Albuquerque to Las Cruces, N.M.
Interstate 90 (Seattle to Boston) also goes through Buffalo. The Blue Gables Motel in Buffalo (1939) is on the National Register of Historic Places. It has 17 log cabins. Buffalo’s Carnegie Library (1909) in now the Jim Gatchell Memorial Museum. It became a museum in the late 1980s. The Johnson County Courthouse in Buffalo dates from 1884. Fort Phil Kearny State Historic Site is north of Buffalo. The fort was an army outpost on the Bozeman Trail in the 1860s. The town of Kaycee (pop. 263) is the home of the Hoofprints of the Past Museum. The museum includes several historic buildings. 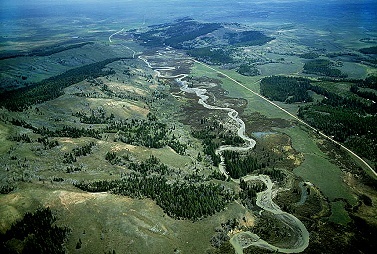 The 375-mile Powder River, a tributary of the Yellowstone River, begins near Kaycee. Natrona County (pop. 75,450) is in the middle of Wyoming. It’s the only Natrona County in the U.S. The county was named for its deposits of natron, a mineral salt found in the area’s dry lake beds. The county seat of Natrona County is Casper (pop. 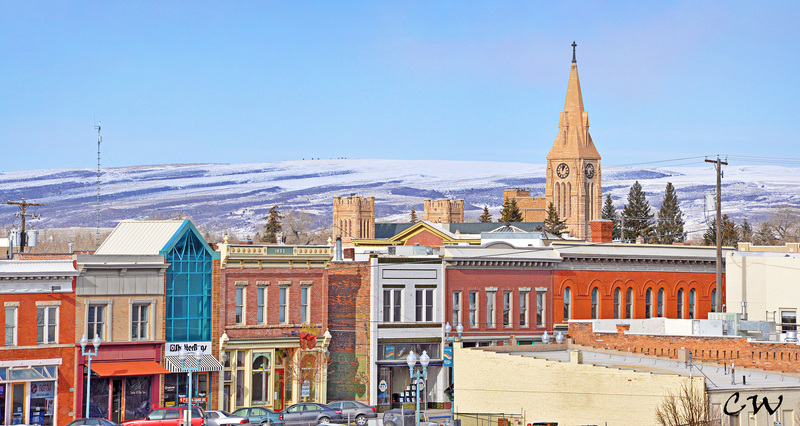 55,316), second-largest city in Wyoming. It is on the North Platte River, at the base of Casper Mountain. 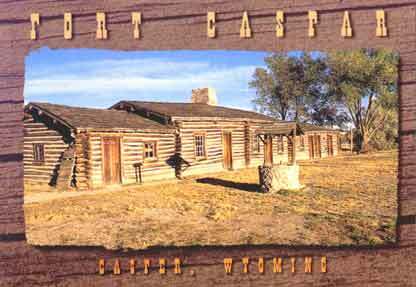 Casper was established near the site of Fort Caspar; the fort was named for Lt. Caspar Collins, who was killed by Indian warriors in the area. The change in spelling resulted from a typographical error when the town’s name was registered. The fort closed well before the city was founded. 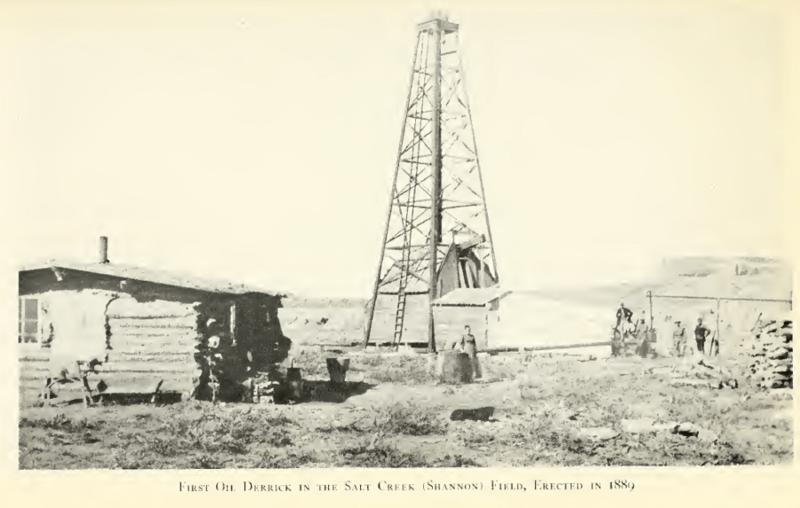 Casper is known as “The Oil City.” The Salt Creek Oil Field, north of Casper, opened in 1889, and Casper’s first oil refinery was built in 1895. The city’s population has varied wildly over the years because of its dependence on the energy industry. 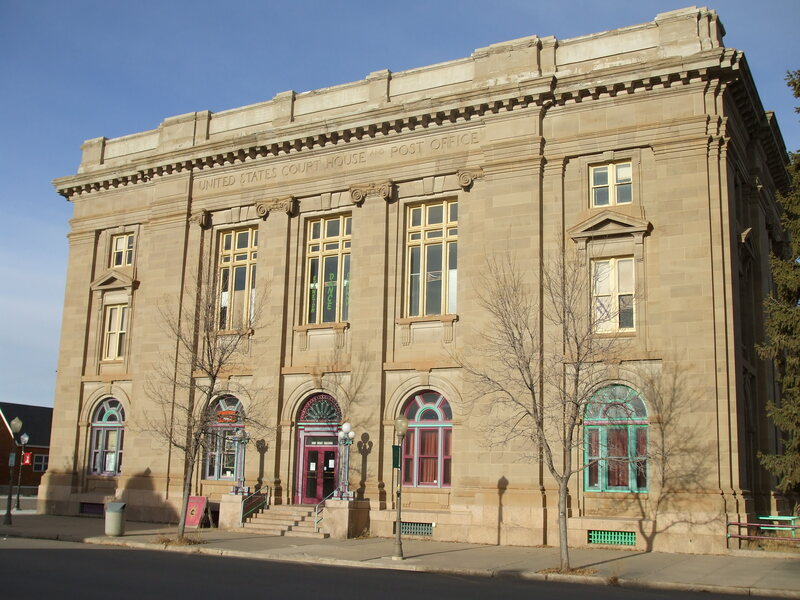 Downtown Casper has some stately public buildings from its early days as an oil boomtown. 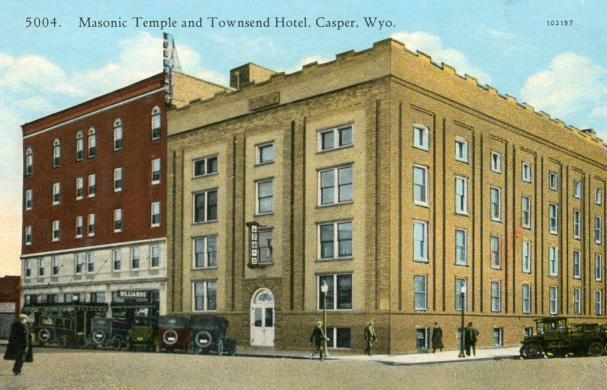 The Townsend Hotel (1923) is now the Townsend Justice Center. 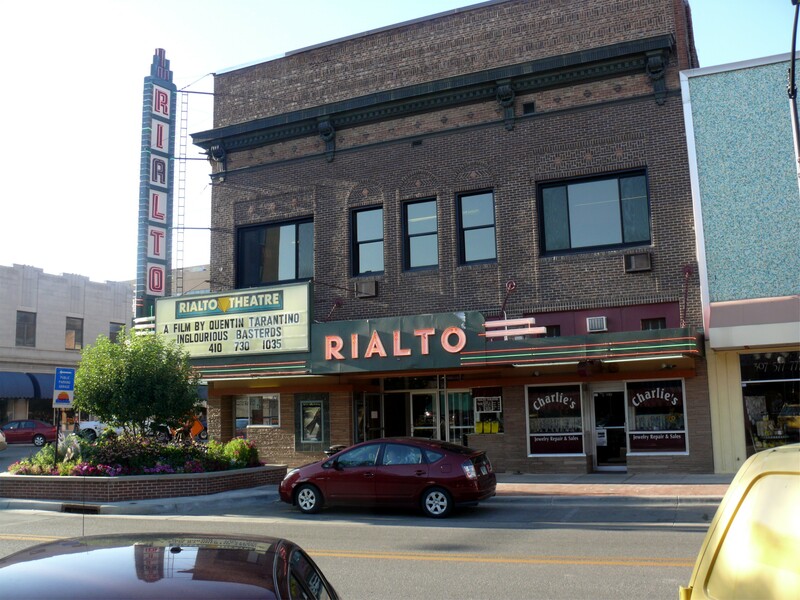 The Rialto Theatre (1921) is still showing first-run movies. 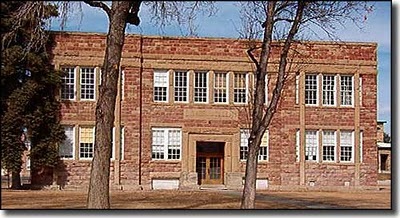 Natrona County High School was built between 1924 and 1941 in the Collegiate Gothic style. 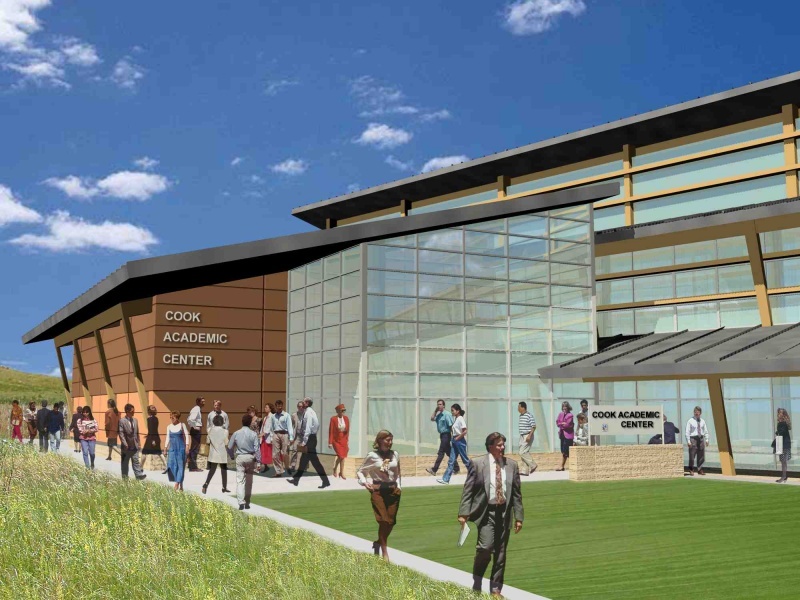 It was originally known as Casper High School. 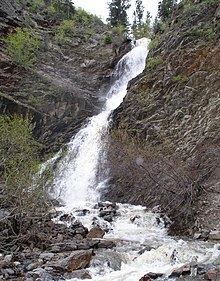 Rotary Park, just south of Casper, features Garden Creek Falls. The town of Bar Nunn (pop. 2,213) is just north of Casper. A local rancher named Romie Nunn developed the land in the 1950s as the Bar Nunn Ranch Subdivision. The land was formerly Casper’s airport. 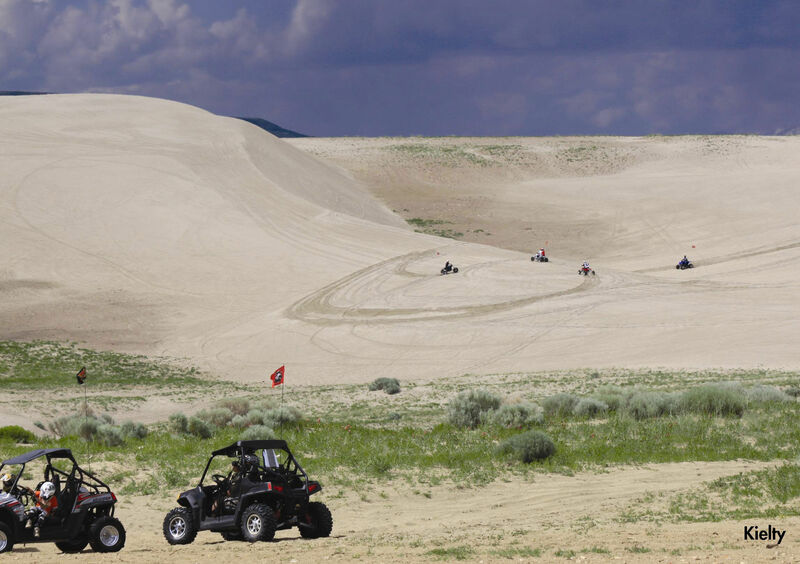 In the western part of Natrona County is Hell’s Half Acre, an area of deep ravines, caves, and rock formations. Independence Rock, southwest of Casper, was an important landmark along the Oregon and California trails. Many emigrants scratched their names into the surface. 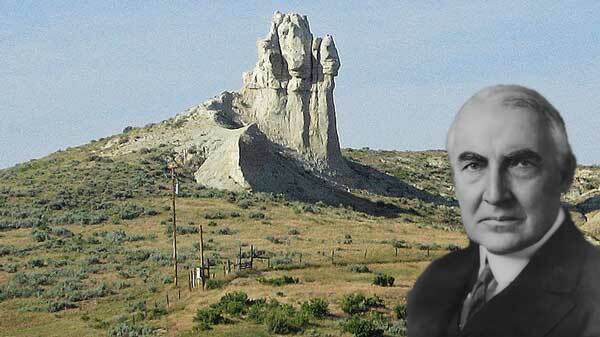 Teapot Rock, north of Casper, gave its name to a nearby oil field and to the infamous Teapot Dome scandal during the administration of President Warren Harding, 1921-23. In southwestern Natrona County near Alcova (pop. 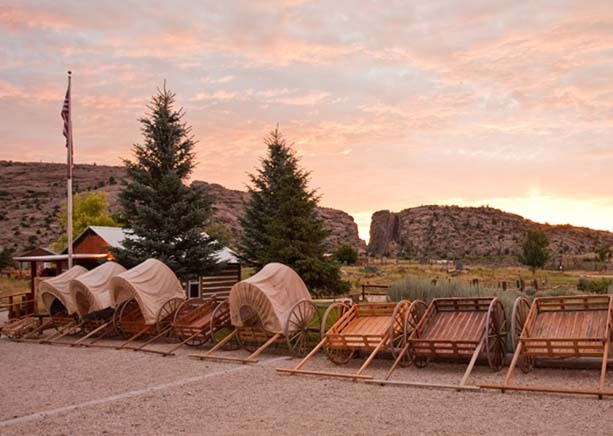 76) is the Mormon Handcart Visitors’ Center, commemorating the deaths of pioneers on the Mormon Trail to Salt Lake City in 1856. There are handcarts for visitors to pull. Carbon County (pop. 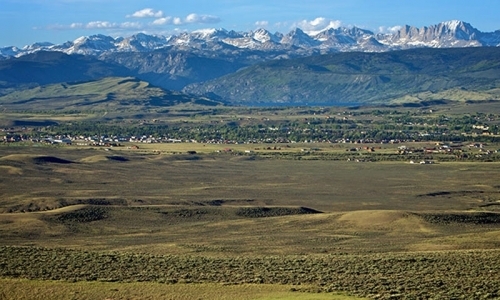 15,885), west of Albany County, is Wyoming’s third-largest county in square miles. The first coal mine in the area opened in 1868. 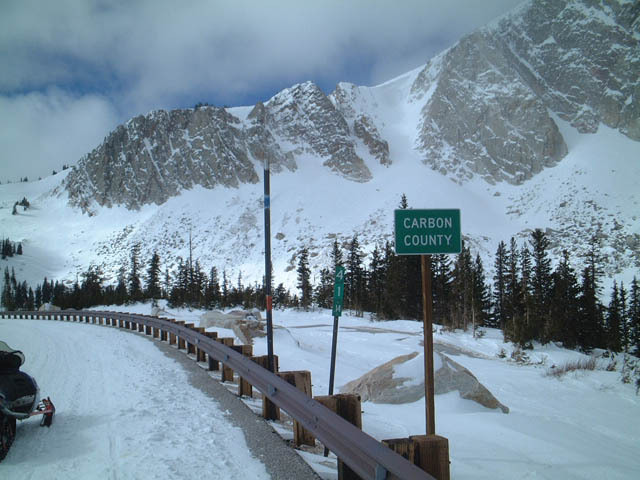 The Snowy Range and Medicine Bow National Forest are in the southern part of the county. The Continental Divide runs through the county. The county seat of Carbon County is Rawlins (pop. 9,259). The George Ferris Mansion (1903) in Rawlins is now a bed and breakfast. The Wyoming State Penitentiary is in Rawlins. 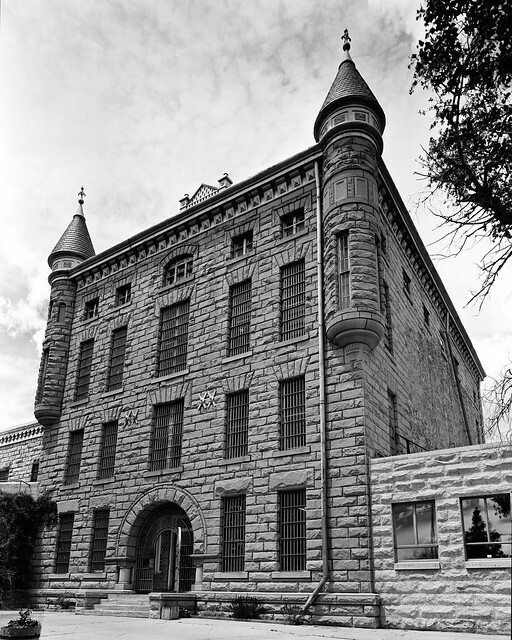 The original penitentiary (1901) is open for tours. Downtown Rawlins has several outdoor murals, including one featuring Thomas Edison – who came to Rawlins in 1878 to view a solar eclipse. The town of Grand Encampment (pop. 450) was once a center of copper mining and smelting. 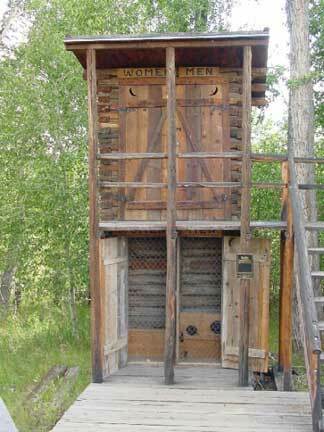 The Grand Encampment Museum is well-known for its two-story outhouse. The town of Medicine Bow (pop. 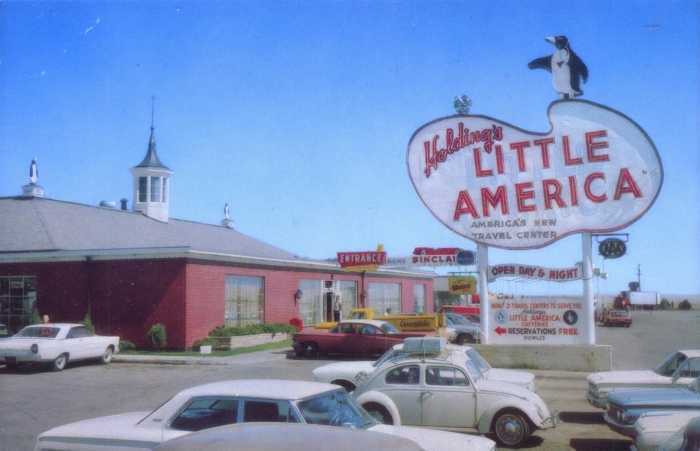 284) was bypassed by Interstate 80 in the early ’70s, but its Virginian Hotel (1911) is still in operation. 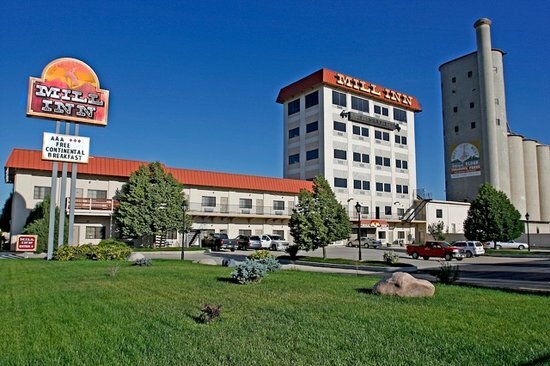 It was once the largest hotel between Denver and Salt Lake City. Elk Mountain (pop. 191) the town is about seven miles from Elk Mountain the mountain. Converse County (pop. 13,833), south of Campbell County, was named for A.R. Converse, a banker and rancher from Cheyenne who was a partner in a local ranch. Most of the population lives along I-25. 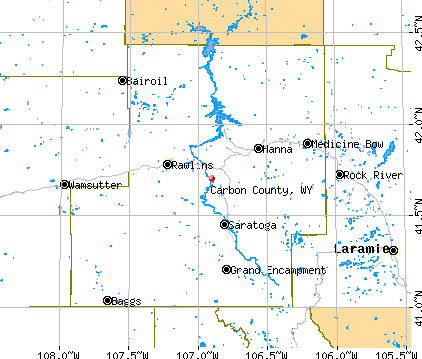 The Laramie Mountains and Medicine Bow National Forest are in the southern part of the county. The county seat is Douglas (pop. 6,120), on the North Platte River. The Wyoming State Fair has been held in Douglas since 1905. Christ Episcopal Church in Douglas dates from 1898. Douglas had an internment camp for German and Italian prisoners of war in World War Two; the Officers’ Club is still standing. Italian prisoners painted large murals inside. The jackalope, Wyoming’s Official Mythological Creature, was first captured by Douglas Herrick of Douglas in the 1930s. Ayers Natural Bridge Park is southwest of Douglas. 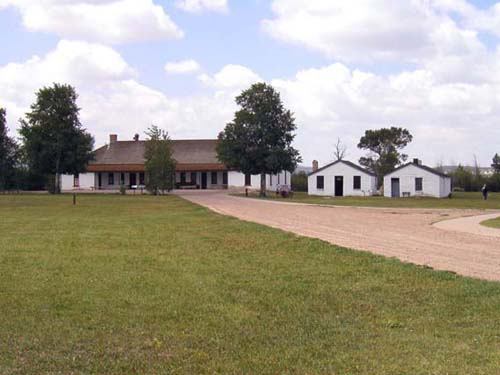 Fort Fetterman, about 10 miles northwest of Douglas, was a U.S. Army fort established in 1867. The town of Bill (pop. 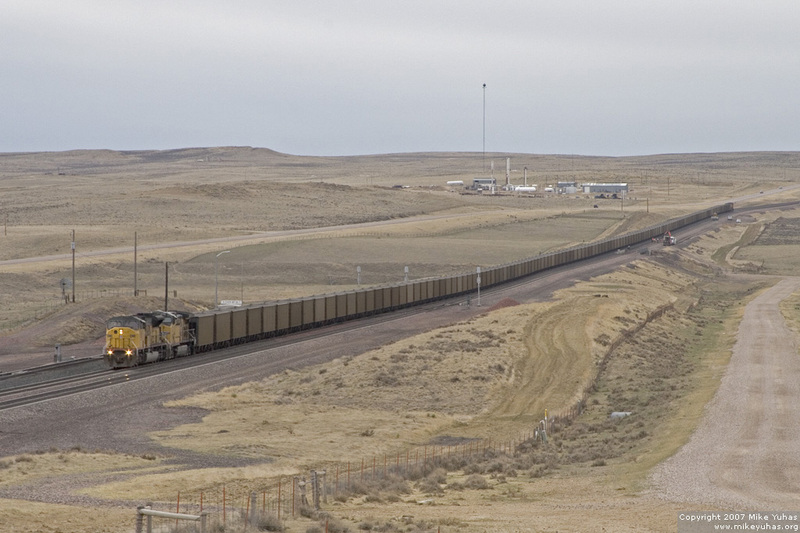 11), 35 miles north of Douglas, has a 112-room hotel and a 24-hour diner – mainly for the use of Union Pacific Railroad employees between shifts on their coal-carrying trains. Campbell County (pop. 46,133) is west of Crook County. 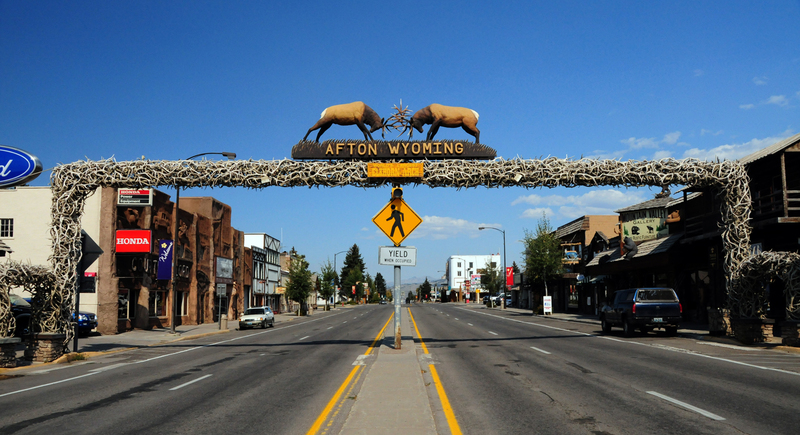 It has the third-largest population in Wyoming, having grown from 33,698 in the 2000 census. There are four other Campbell counties. 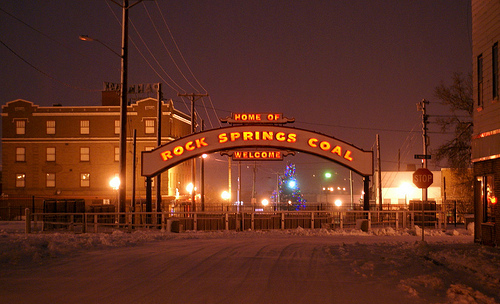 Campbell County is the largest coal-producing county in the largest coal-producing state. The county seat of Campbell County is Gillette (pop. 29,087), the fourth-largest city in the state. 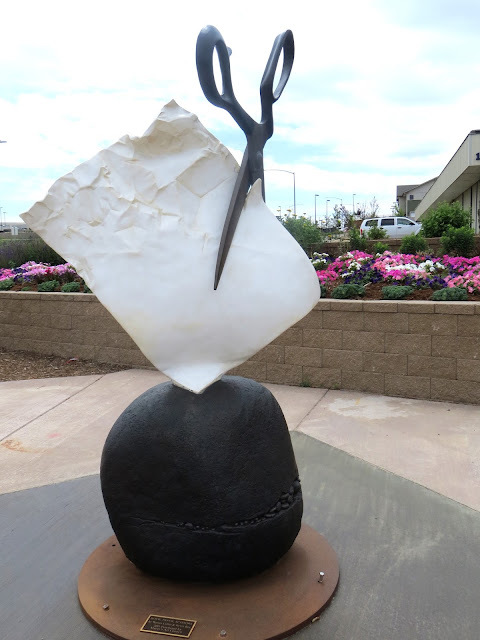 Downtown Gillette has a “Rock Paper Scissors” statue, installed in 2011. The Rockpile Museum in Gillette is adjacent to a large pile of rocks. 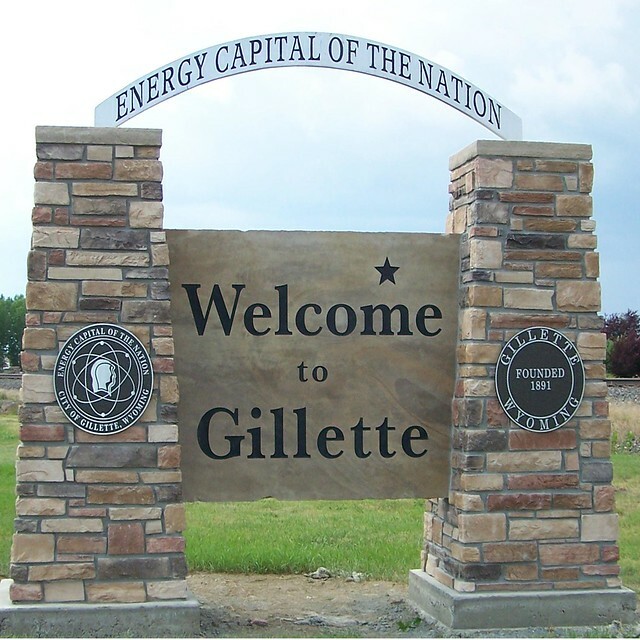 The term “Gillette Syndrome” was coined in 1974 in an academic paper about the negative effects of rapid population growth resulting from natural resource extraction (such as coal-mining). The unincorporated community of Spotted Horse (pop. 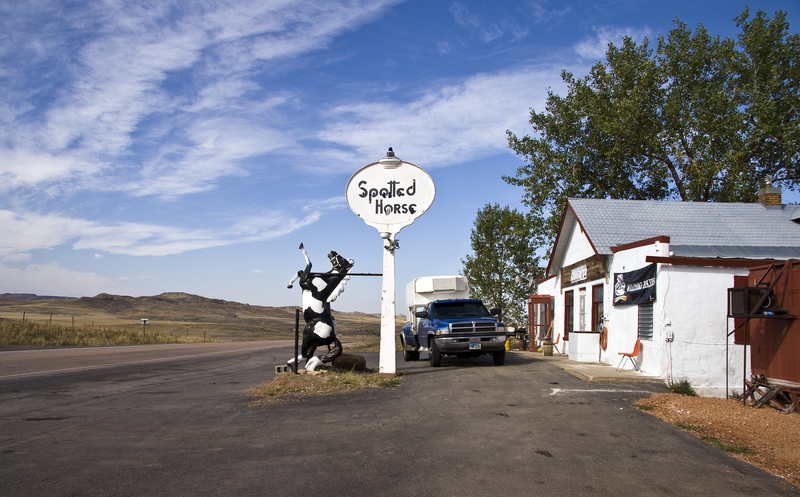 2), north of Gillette, has a statue of a spotted horse. It’s outside the Spotted Horse bar. Crook County (pop. 7,083) is in the northeastern corner of Wyoming, adjacent to Montana and South Dakota. Both Crook counties (the other is in Oregon) are named for Gen. George R. Crook, who served in the Civil War and Indian Wars. Gene Hackman played him in “Geronomio” (1993). The lowest point in Wyoming, 3,099 feet above sea level, is on the Belle Fourche River in Crook County. 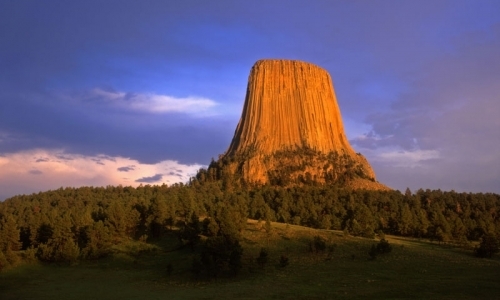 Devils Tower was America’s first National Monument, in 1906. It rises 1,267 feet above the surrounding terrain. 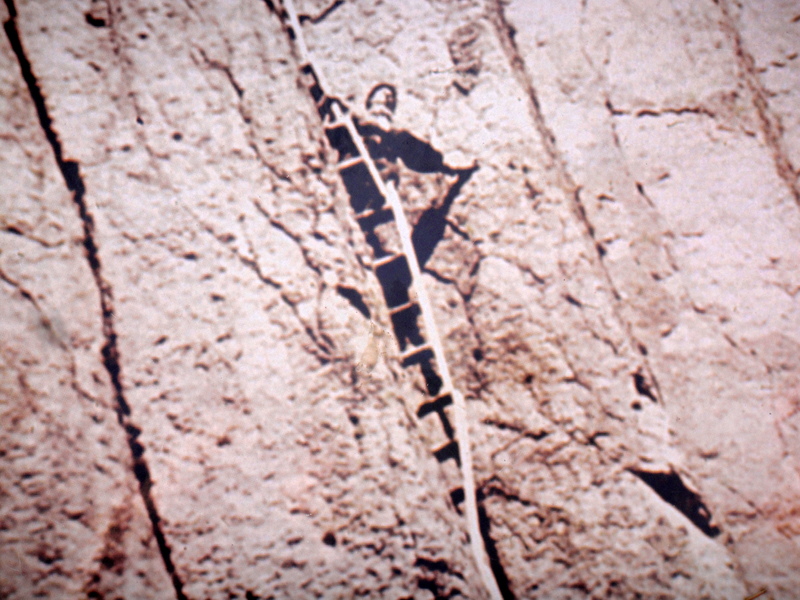 The wooden Tower Ladder, constructed in 1893, is on the National Register of Historic Places. It was last used to reach the summit in 1927. The lowest 100 feet were removed in the 1930s. Part of Black Hills National Forest is in Crook County. Ponderosa pine is the most common tree. 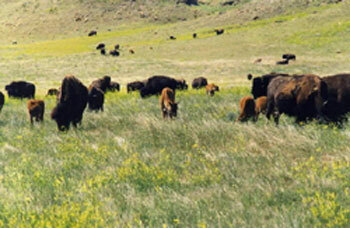 The Vore Buffalo Jump is an archeological site along Interstate 90 near the South Dakota border. 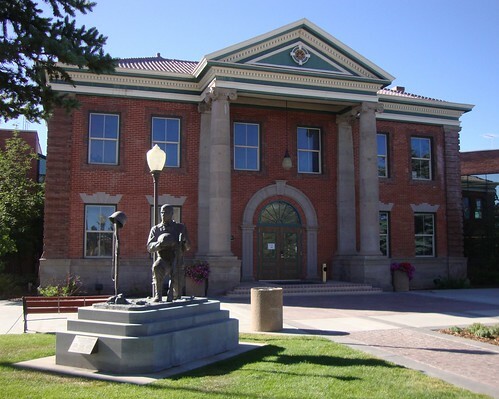 The county seat of Crook County is Sundance (pop. 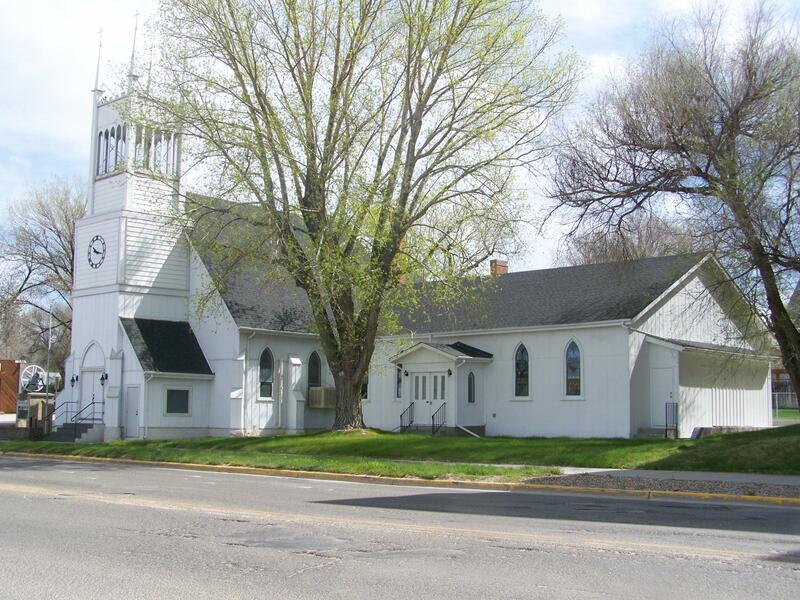 1,182), the smallest county seat in Wyoming. Harry Alonzo Longabaugh (1867-1908), the notorious robber of trains and banks, adopted his nickname of the “Sundance Kid” while in the Sundance Jail for horse-thieving in 1887. Weston County (pop. 7,208) is north of Niobrara County, on the western edge of the Black Hills. 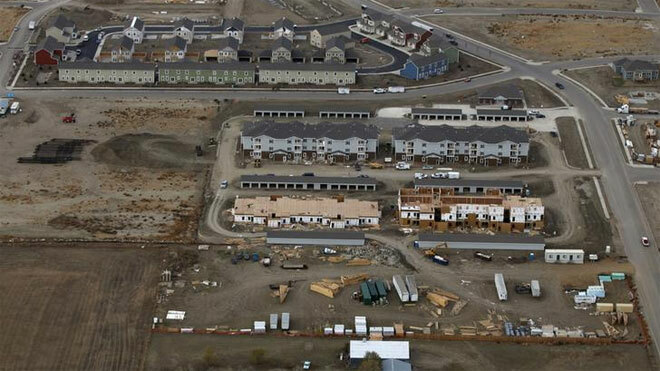 It has the third-smallest population in Wyoming. It’s the only Weston County in the U.S.
A large part of the county is in the Thunder Basin National Grassland. The Grassland’s elevation ranges from 3,600 to 5,200 feet. The Grassland is also in four other counties. The county seat of Weston County is Newcastle (pop. 3,532). Newcastle apparently has the world’s only Dogie Theatre. 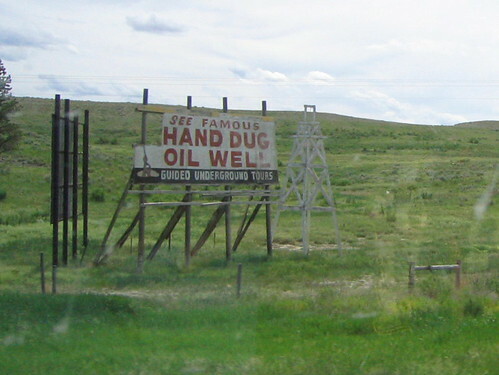 A former tourist attraction (1966-2005) in Newcastle is The World’s Only Hand-Dug Producing Oil Well. The late Al Smith dug down 24 feet for oil. 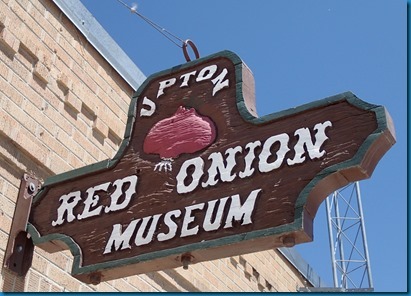 Upton is home of the Red Onion Museum. It reaches the Missouri near the town of Niobrara, Nebraska. The county seat of Niobrara County is Lusk (pop. 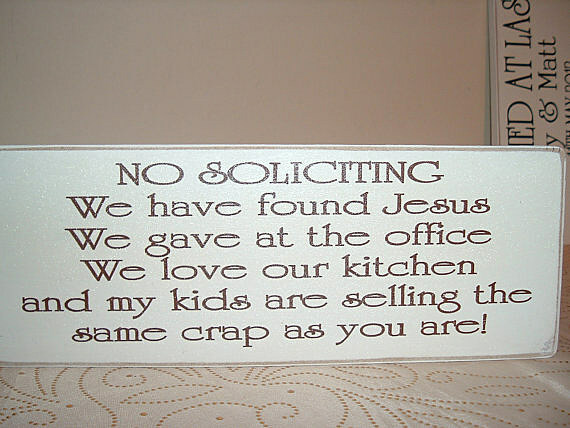 1,567). Lusk was established in the late 1800s as a stagecoach stop between Cheyenne and the gold mines at Deadwood in the Black Hills of South Dakota. U.S. Highway 85 follows the same route. The Stagecoach Museum is in Lusk’s former National Guard Armory. Historic relics include a stuffed two-headed calf. 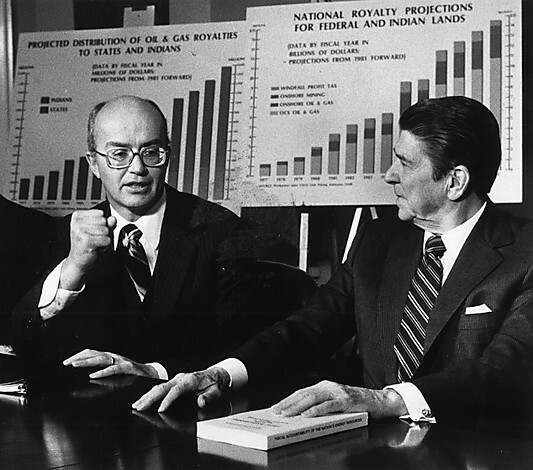 James G. Watt, Secretary of the Interior for Ronald Reagan from 1981 to 1983, was born in Lusk in 1938. Watt graduated from the University of Wyoming. 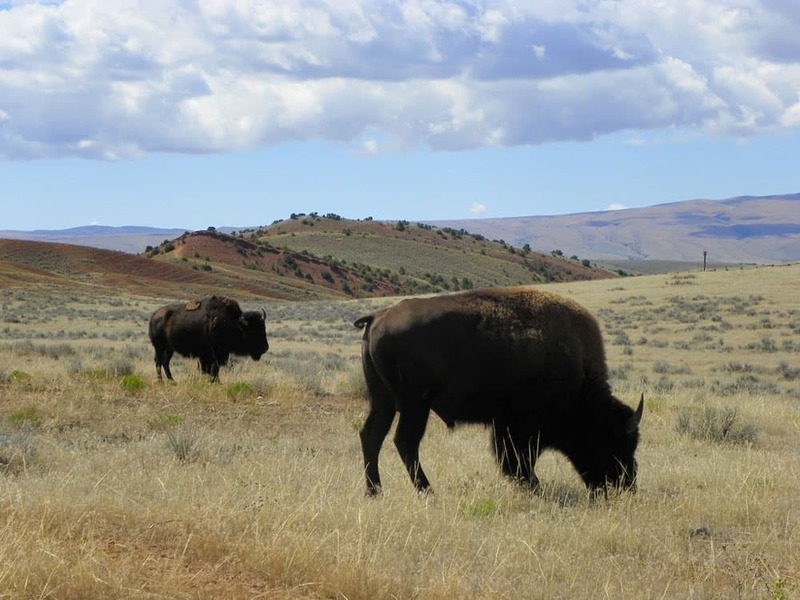 The Silver Sage Bison Ranch, 50 miles north of Lusk, is a working cattle and bison ranch that has a 1,200-acre area for buffalo-hunting in the winter. A herd of up to 60 animals is in the area. Ten miles south of Lusk, on the Old Cheyenne-Deadwood Stage Road, is the grave of “Mother Featherlegs” Shepard, a local prostitute who died in a robbery in 1879. The granite monument was unveiled in 1964. Platte County (pop. 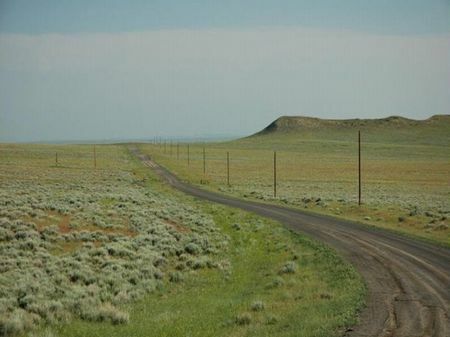 8,667) is west of Goshen County. It’s the third-smallest county (in square miles) in Wyoming. Missouri and Nebraska also have Platte counties. 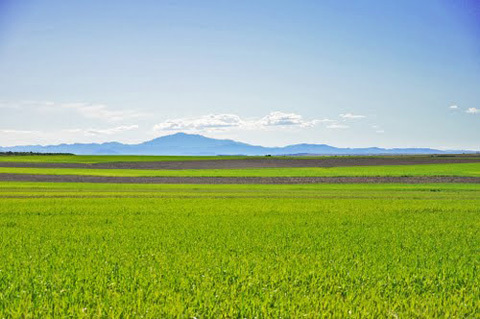 About 54,000 acres are irrigated in the Wheatland Irrigation District. Water comes from the Laramie River. Wheat, alfalfa hay, barley, oats, etc. The county seat is the city of Wheatland (pop. 3,627). The bucking horse named Steamboat (1894-1914) – the model for the horse on the Wyoming license plate – was stabled in a barn near Wheatland. The town of Chugwater (pop. 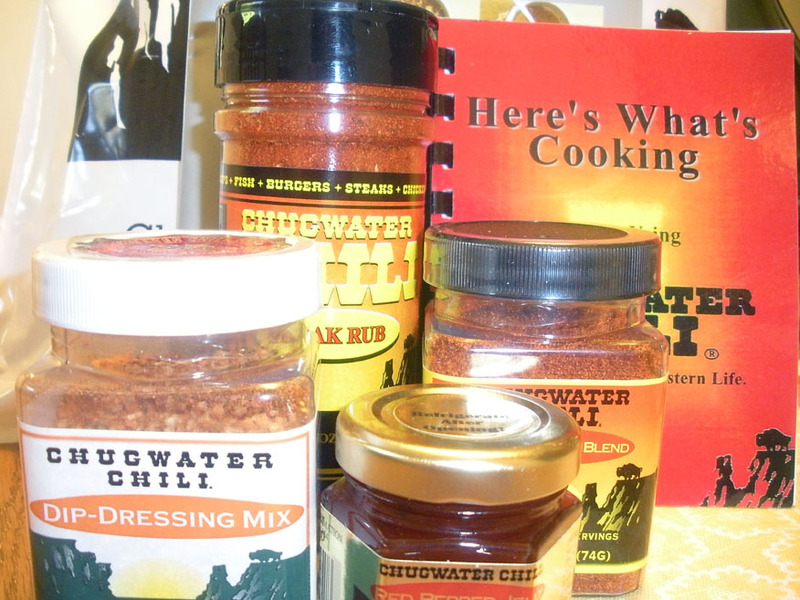 212) is the home of the Chugwater Chili Company. Glendo State Park is on Glendo Reservoir on the North Platte River. 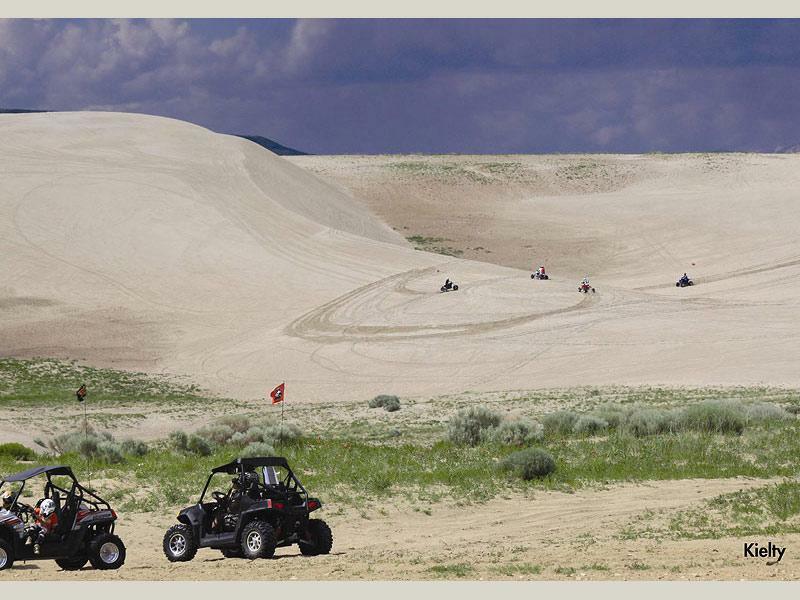 Guernsey State Park contains the best-preserved Oregon Trail ruts in Wyoming. Thousands of wagon trains passed through here. The park is also the site of Register Cliff, where emigrants on the Oregon Trail chiseled their names in the soft stone. Goshen County (pop. 13,249) is north of Laramie County. It is Wyoming’s number-one agricultural county. Torrington (pop. 6,501), the county seat, is in the eastern part of the county, about eight miles from the Nebraska border. Eastern Wyoming College (1948) is a community college in Torrington. It has about 1,500 students. The U.S. Post Office in Torrington is on the National Register of Historic Places. The Wyoming 2 Theatre in Torrington dates from the 1920s. The unincorporated community of Jay Em, north of Torrington, got its name from the initials of local rancher Jim Moore. Its population declined in the 1930s. 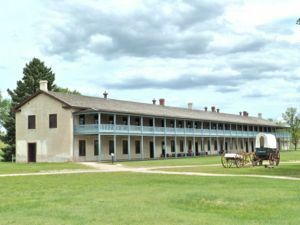 Fort Laramie National Historic Site is west of Torrington. It was a major trading post in the 19th century, serving the overland fur trade. 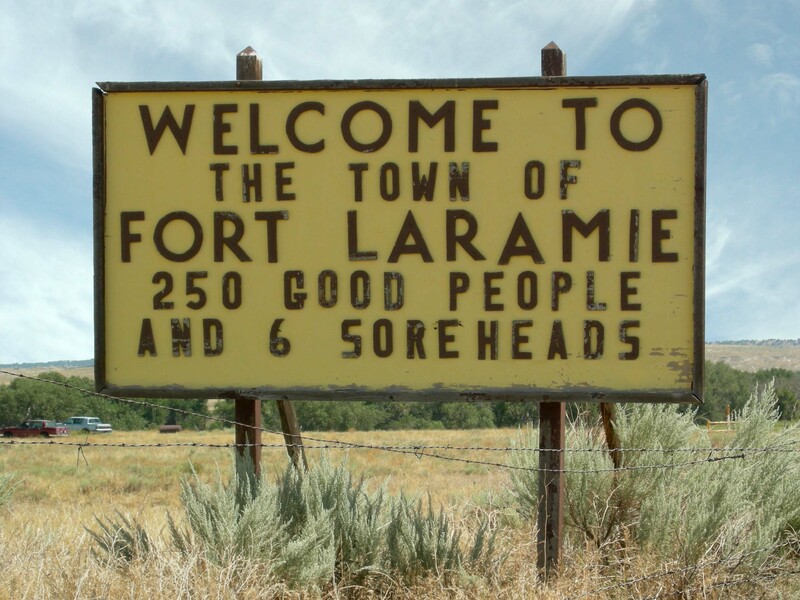 Today’s town of Fort Laramie (pop. 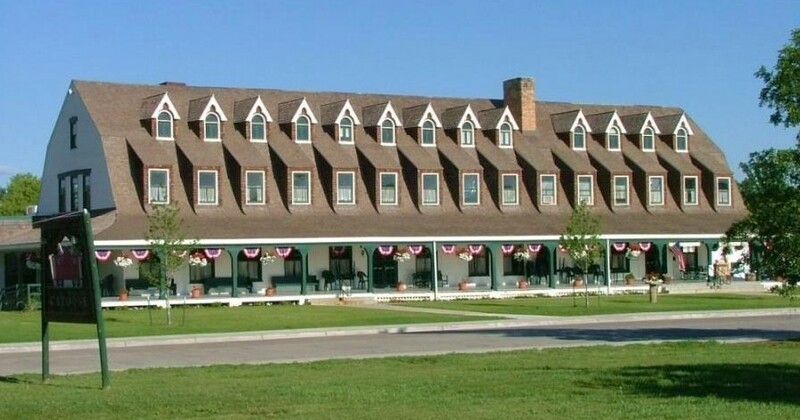 230) is across the North Platte River from the historic fort. We begin our tour of Wyoming’s 23 counties in Laramie County, in the southeast corner of the state. This is the route that we’ll be taking. The county was named for Jacques La Ramee, a French-Canadian fur trader. He disappeared while trapping in the area in 1821. Laramie County has existed since 1867, when it was part of the Dakota Territory. Seven other counties were eventually formed from Laramie County; it has had its present borders since 1911. Laramie County’s population in the 2010 census was 91,738 – the largest in Wyoming. 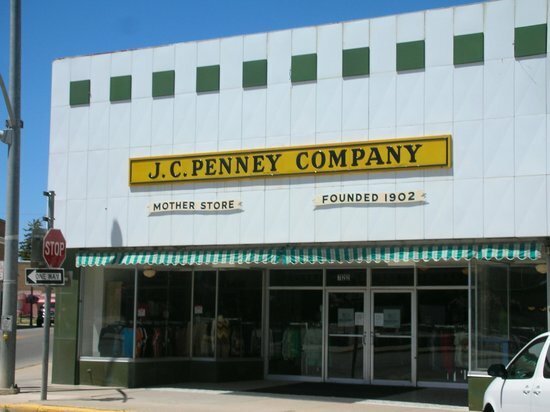 The county seat, Cheyenne (pop. 59,466), is the largest city in the state. The city of Laramie is in Albany County. 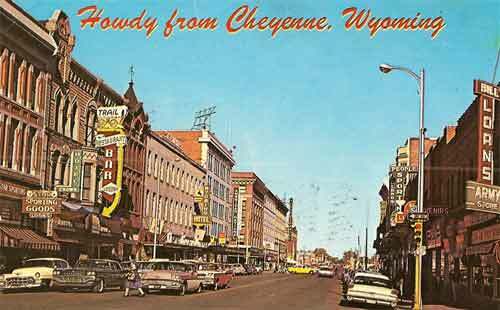 Cheyenne is, of course, also the capital of Wyoming. The Capitol was built in 1886. 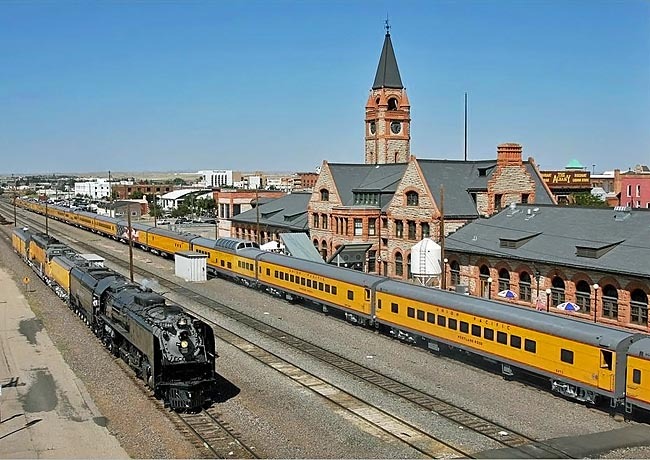 Cheyenne’s old Union Pacific Depot (1887) is now the Depot Museum. Cheyenne Frontier Days, held every summer since 1897, is one of the largest rodeo events in the world. More than 200,000 people attend. 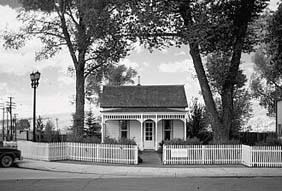 The Historic Governors’ Mansion was the home of Wyoming’s governors from 1905 to 1976. St. Mary’s Cathedral dates from 1906. 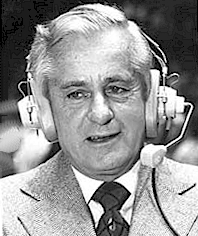 Sportscaster Curt Cowdy (1919-2006) grew up in Cheyenne. As a high school basketball player, he led the state in scoring. Curt Gowdy State Park is in the nearby Laramie Mountains. The town of Pine Bluffs (pop. 1,129), east of Cheyenne, has a 30-foot statue of the Blessed Virgin Mary (built in 1998) along Interstate 80.